Your nerves communicate messages of sensation throughout your entire body – from your head to your feet, and everything along the way. When you pinch a nerve through trauma, overuse, poor posture, or gradual deterioration of your body, it cries out in distress to your brain. While a nerve may be pinched in a specific place and cause symptoms there, it also has the potential to send pain signals to other areas of the body. Pinched nerves can really happen anywhere, but they most commonly occur in the spine. And the pain from pinched nerves in the spine can travel throughout the body. Your cervical spine is located in your neck area and serves several purposes. It protects the bundle of nerves that extends from the brain into the neck and upper and middle back. It also supports your head and all of its movements. The cervical spine also has the important job of facilitating blood flow to the brain. A pinched nerve in the cervical spine can directly affect sensations in the neck, head, shoulders, arms, hands, or fingers. You may experience tingling or pins-and-needles sensations in the arms and hands. Carpal tunnel syndrome and tennis elbow are sometimes the result of a pinched nerve in the neck. The thoracic spine is located in the middle back and rib cage area. A pinched nerve in this portion of the spine can cause symptoms in your shoulder blades, chest, and upper abdomen. A pinched nerve in this region is often the result of a herniated disc, bulging disk, or spinal stenosis. You may feel pain that you don’t necessarily associate with a pinched nerve, such as kidney or diaphragm pain or tingling around the rib cage. You might even mistake some of these feelings for a heart attack, pneumonia, or an anxiety attack. But if these conditions are ruled out, consider the possibility that a pinch in your thoracic spine is the potential reason for your pain. The lumbar spine is the lowest portion of your back. 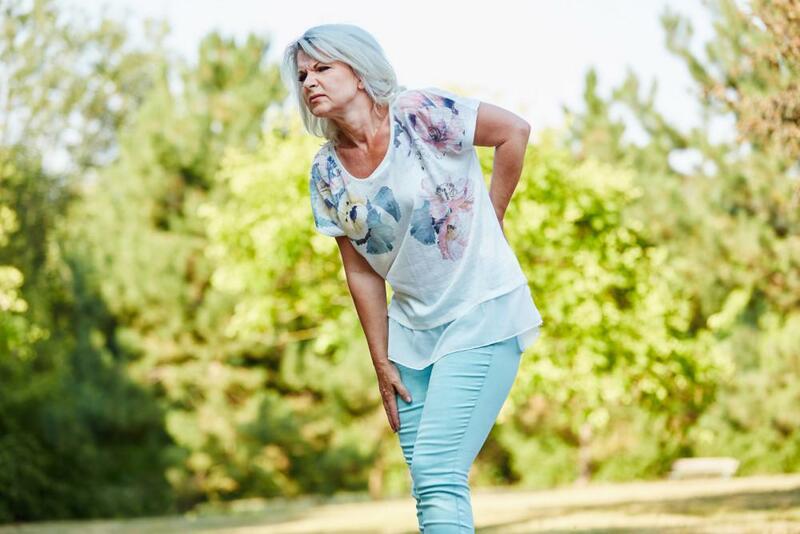 You might be familiar with one of the most common pinched nerve conditions, called sciatica, which causes pain in the buttock that radiates down your leg and even into your feet and toes. But pinched nerves in the lumbar spine can cause pain and discomfort in your hips and lower back, too. Sciatica causes tingling, numbness, and throbbing or searing pain. It occurs when the large sciatic nerve is pinched, either by a disk or by the piriformis muscle of the buttocks. Regardless of the cause, you may experience weakness in your leg and even have trouble walking. When you have pain, even if it’s relatively localized, it affects both your physical and emotional well-being. Pain can make you irritable and short-tempered, and make it hard to do your daily activities. With some kinds of nerve pain, you may compensate for pain in one area by changing your gait, shortening your range of motion, or skipping movement altogether. These adjustments can lead to compensatory muscle imbalances and injuries, plus you may start to experience the ill effects of a sedentary lifestyle, including increased risk of chronic disease, weight gain, and poor stamina. If you suspect a pinched nerve or have constant pain that doesn’t resolve, don’t mask it with over-the-counter medications and compromised movement. Seek help from our expert chiropractor Dr. Kielur here at Mass Ave Chiropractic. Spinal adjustments, soft tissue manipulation, and physical therapy exercises can free up your nerves so you feel and function the way you should.